Though my oldest child, now away at college, hasn’t believed in the Easter Bunny for many years, I wanted to send him an Easter-themed care package to celebrate the season. And because I really wanted to incorporate the theme of Easter and Spring into the care package, I put a lot of thought into what items would be ideal. 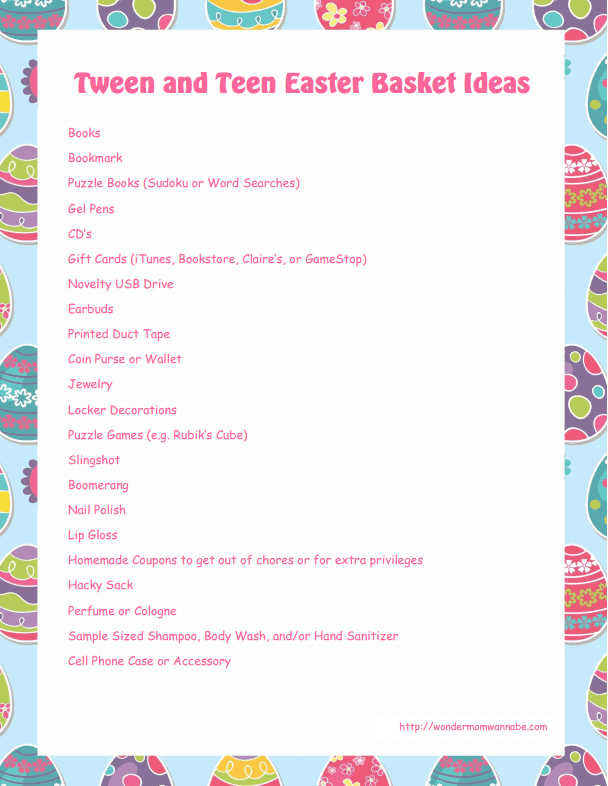 Here are the ideas I had for an Easter care package for college students. Since our traditional Easter baskets usually include sweet treats, I made sure to include some in my son’s Easter care package. First, I put in some of my carrot cake scones. 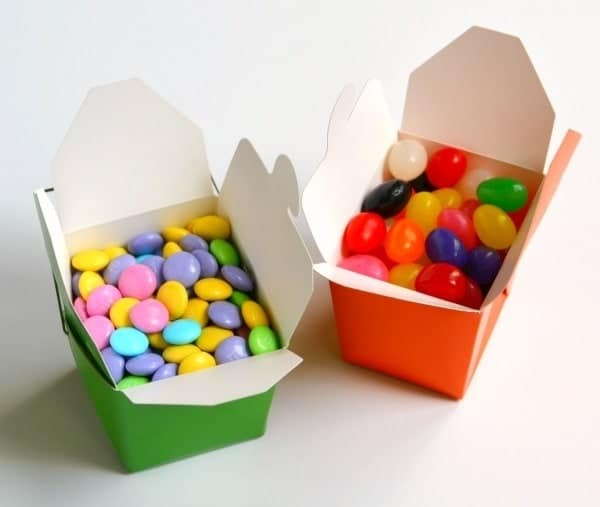 Next, I filled up some Chinese takeout boxes (in orange and green to match the scones) with M&M’s and jelly beans. 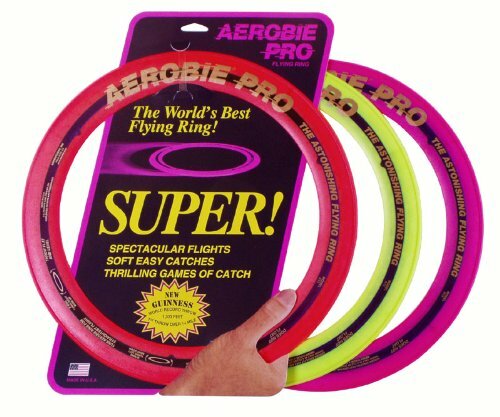 Though my son has outgrown typical Easter basket toys like wind-up chicks, silly putty, and bubbles, I know he still likes to have fun. I thought about what he might enjoy doing once the warmer Spring weather arrives and came up with a few ideas. 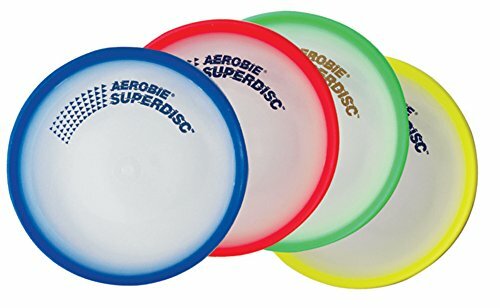 I know that when I was in college I always enjoyed heading to the quad on a warm, Spring day to throw a frisbee. 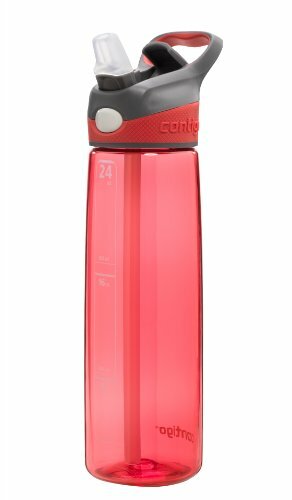 And since my son sometimes doesn’t come back to his dorm between classes, I thought he might like a water bottle to make sure he stays hydrated in warmer weather. In college I had a friend who always decorated for holidays. I always thought this was such a cheerful idea and it made all of us a little less homesick. 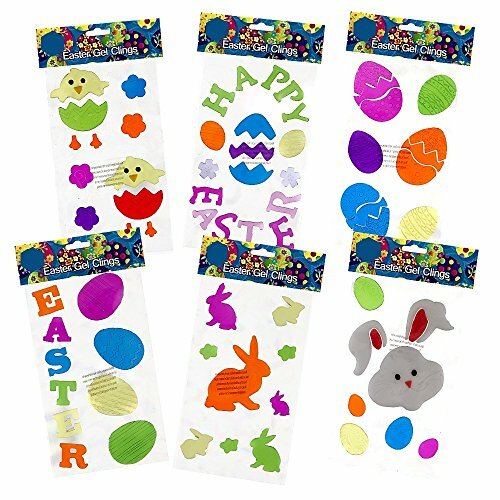 Since space might be limited and your college student probably won’t store the items after Easter, something simple and inexpensive like window clings makes the perfect addition to an Easter care package. When I was in college I was always short on cash. My son is amazing about refraining from asking for money, which is one reason I’m happy to surprise him with it. 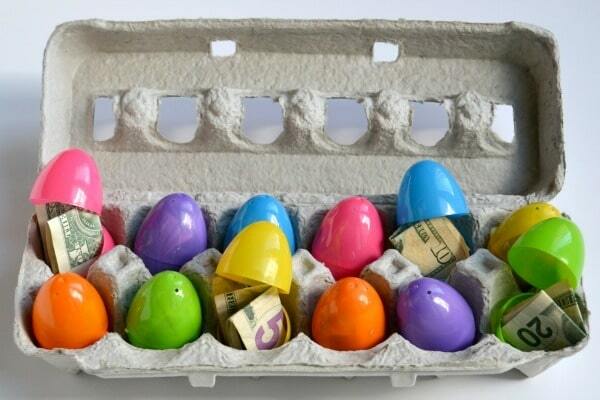 To stick with the Easter theme, instead of candy, I filled his eggs with cash. I included a variety of bills from $1 to $20. Of course, college kids also always welcome gift cards too. If you want to make sure your college kid is using the money on food, clothes and entertainment, instead of alcohol, gift cards are a great choice. They just don’t fit well in the eggs. 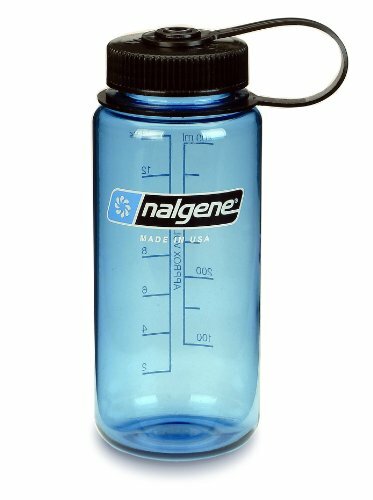 Don’t have a college student? Or perhaps, like me, you have other children who aren’t in college yet. Don’t worry. I have some Easter ideas for you too! Check out my 101+ Easter Ideas for printable lists for everyone from toddlers to teens. 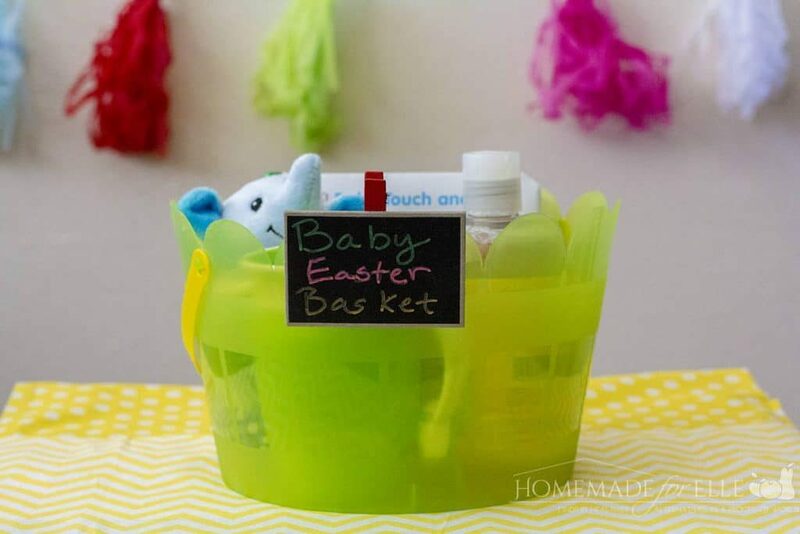 The only kids I didn’t cover are babies, but my friend Andrea at Homemade for Elle has some baby Easter basket ideas you’ll love. 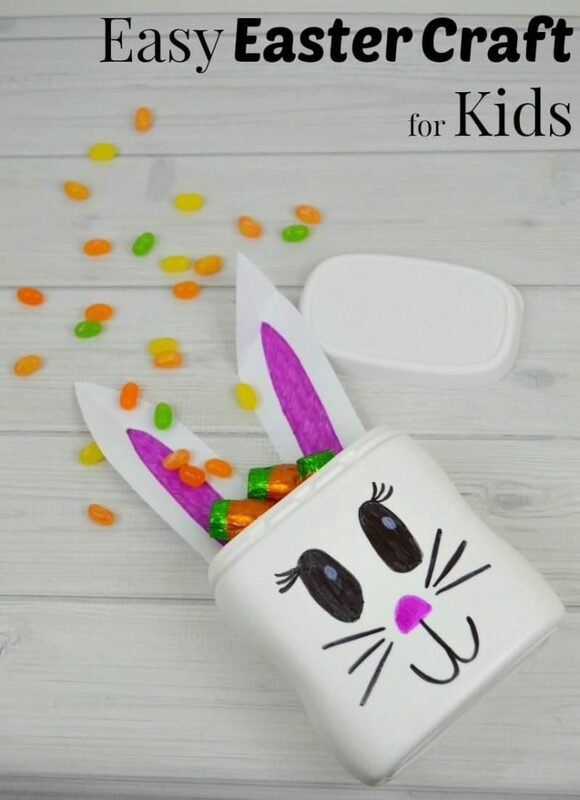 And since I have very limited craft ability, I went to my friend Susan at Organized 31 for an easy Easter crafts for kids. It’s so easy even I can do it and it’s totally adorable! I hope you’ve found some helpful ideas you can use. If you have an idea I haven’t shared here, please feel free to share it in the comments. 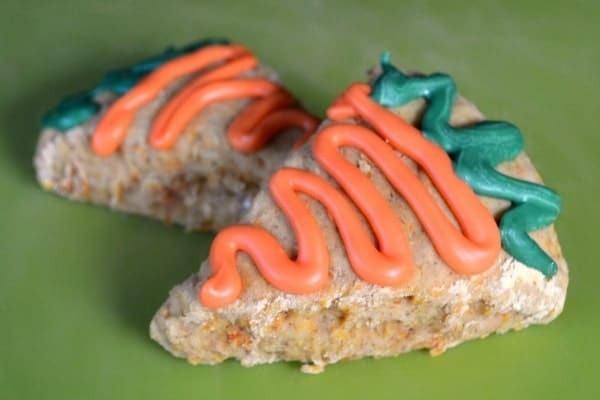 First, carrot cake scones… that sounds amazing! I am definitely making those! 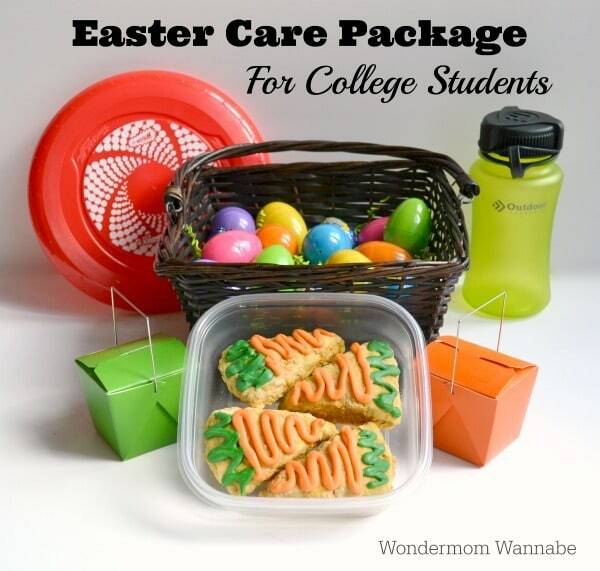 Second, I love the idea of a college easter care package. I remember how much they meant to me when I was in college! great ideas! I just made mine today and will be mailing off soon! Your “baby” in college is going to be thrilled with his care package (and his roommates will be jealous!). I love that you coordinated the take-out boxes of candy to the colors on your scones. You thought of everything.